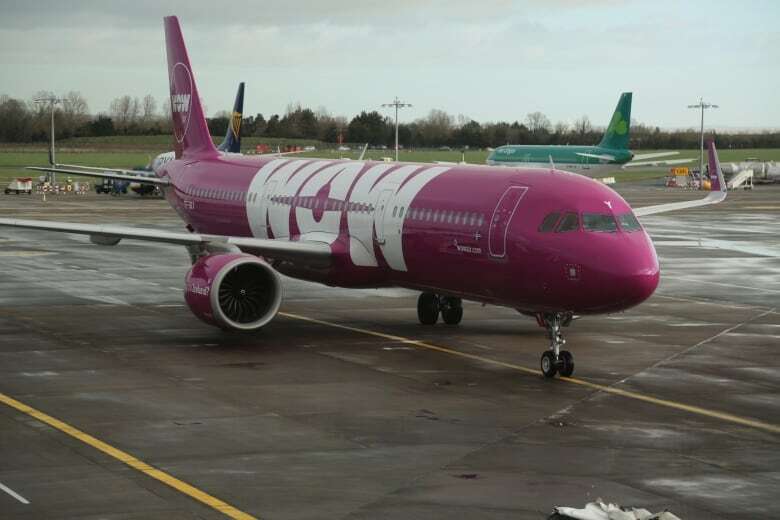 In a statement on its website, the airline said it has ceased operations, and as a result "all WOW Air flights have been cancelled." According to aviation tracking service Air Fleets Inc., WOW had about a dozen jets in service, with another five in storage that it planned to use on expanded routes. All of WOW's planes are made by Airbus. 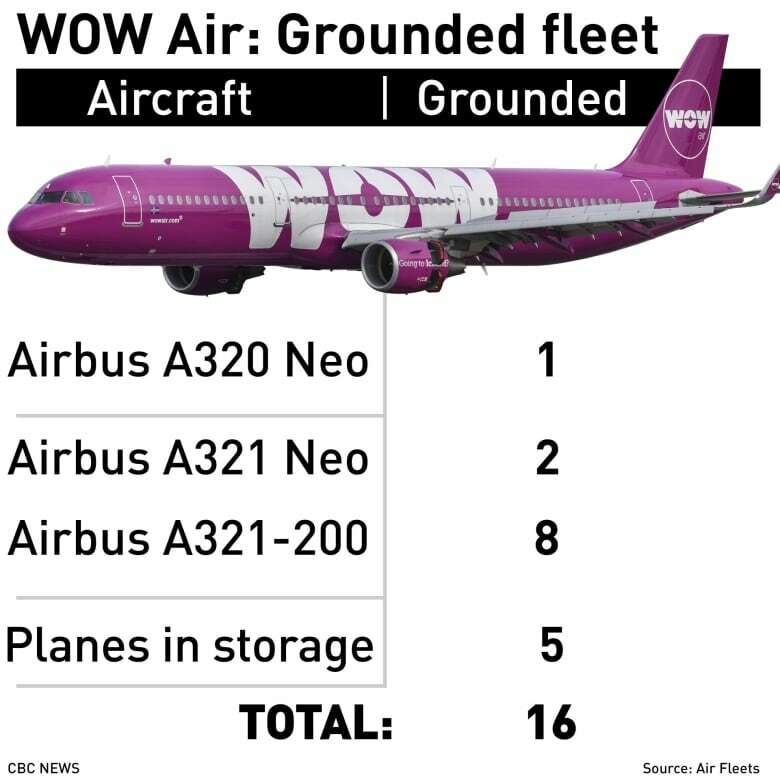 "I have heard absolutely nothing from WOW Air," she told CBC News on Thursday, "but earlier this week I did receive quite a few emails encouraging me to upgrade my seat or check more bags, so they were definitely active in asking for more money the past few days." "We had nobody to talk to through the company that could provide us any information about when or if future flights would be taking off," she said. "Unsure of what other options would arise and wanting to be home we paid this, which was more than we were anticipating to spend," she said. "Our trip as a whole was less expensive than our one flight home." "I will never forgive myself for not acting sooner," Mogensen said. "WOW was clearly an incredible airline and we were on the path to do amazing things again." 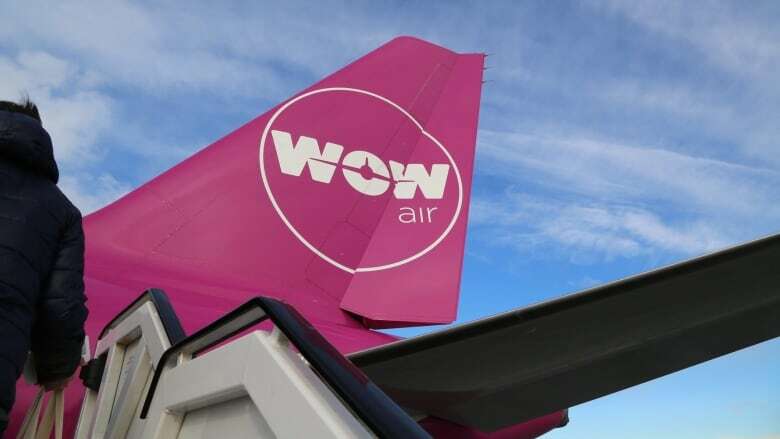 Halifax-based passenger rights advocate Gabor Lukacs said WOW's failure should be laid at the feet of regulators who allowed it to fly with financial difficulties that left customers vulnerable. He said there are laws already on the books in Canada that should have forced changes to protect consumers before this happened, but they weren't enforced. "Once an airline goes bankrupt it's too late to intervene," he said in an interview. "The purpose of regulation is to deal with situations before they go bankrupt to protect the public from such economic harm." "The government wants to create a two-tiered system where you have large airlines which perhaps more wealthy people can buy tickets on, and you have those low cost airlines where in the government's mind the riff-raff can fly and there you have no rights," he said. By aggressively adding new destinations, WOW had seen a steady uptick in the number of passengers it carried every year. But the airline never scaled up enough to cover its costs, with average revenue per passenger falling by 2017, according to the company's last earnings report. WOW had been trying to find an investment or bailout or buyer for itself since the middle of last year. WOW was negotiating to merge with flag-ship carrier Icelandair, but that deal fell apart. The airline then tried to strike a deal with Indigo Partners, an American company operating the airline Wizz, but that didn't come to pass, either. "I always had very good experiences with them so this was not exactly what I expected to occur," she said. In Europe, Reykjavik-bound planes from seven cities — Amsterdam, Dublin, Paris, Brussels, Berlin, Frankfurt and Copenhagen — did not take off Thursday. 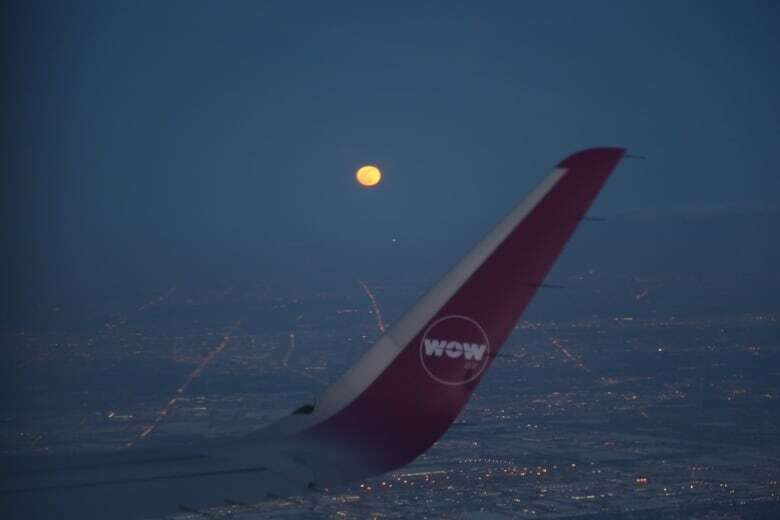 One airplane from WOW was grounded as collateral by Iceland's airport operator, which reportedly has a $16 million US claim for unpaid landing fees against the airline. The news isn't just bad for WOW and its customers. It's a problem for Iceland, too. Tourism is a major industry for the country, making up 43 per cent of its GDP in 2017, according to official data. The tourism boom in recent years coincided with the launch of WOW, as visitors to the country quadrupled since WOW's flights started in 2012. Data from Iceland's tourism authority shows that more than 100,000 Canadians visited Iceland last year, making Canada the fourth most common source of tourists for the country, after the U.S., the U.K. and Germany. 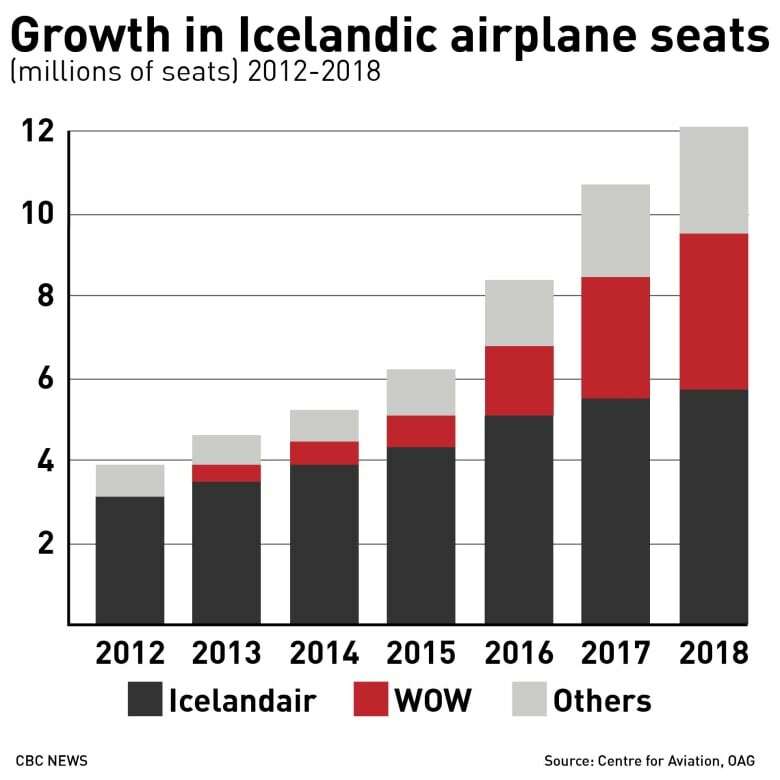 About one-third of Iceland's visitors last year did so by flying on a WOW Air flight. An earlier version of this story paraphrased passenger rights advocate Gabor Lukacs as saying the regulators in Canada and elsewhere should have acted sooner to protect passengers. In fact, Lukacs was referring only to Canadian regulators.